One of the most prominent and largest archaeological sites is Dholavira, an ancient metropolitan city in India, also locally known as Kotada Timba Prachin Mahanagar Dholavira which existed during the Indus Valley civilization. It was located on the Khadir Island in the Kutch district of Gujarat and is surrounded by water during monsoon season. 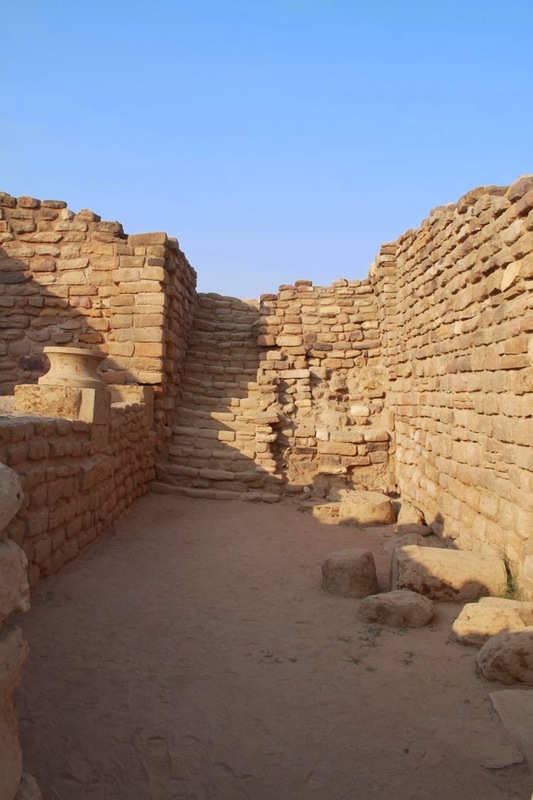 The ancient site of Dholavira which was discovered in 1960 is separated by two storm water channels, the Manhar in the south and the Mansar in the north. It is the fifth largest Harappa site in the Indian subcontinent which has been continuously under excavation since 1990 by Archaeological Survey of India. The excavation revealed the sophisticated urban planning and the architecture has unearthed a huge collection of antiquities like seals, animal bones, beads, gold, silver, terracotta ornaments and vessels of Mesopotamia. The archaeologists also believed that Dholavira was an important trading centre between settlements in South – Gujarat, Sindh and Punjab region and Western Asia. Being identified as one of the five largest Harappa sites it gives us details of a civilization which flourished across India, Afghanistan and Pakistan. Dholavira was a city or a metropolis and according to archaeologist, its estimated population was between 15000 to 20000 inhabitants. A good amount of evidence is available about the site which indicated that the geography of this site was a lot different 4000 years ago. In the museum, which is small but informative, large sized conch shells excavated from the site as well as piece of a rock used in the construction of a wall bearing fossilized marks on seashells are placed there, which indicates the presence of a sea coast not far from this site. Moreover the museum also displays a large number of broken pieces of bangles and beads made from shells. A fossilized rock formed by a cluster of sea shells is also displayed. These excavations clearly indicate that Dholavira was a port city located near the sea coast where ships often sailed. It also indicates that it was a trading center which also explains the large population of this city. It was believed that Dholavira was a port and the Khadir Bet was located at a distance of more than 150 km from nearest port of Lakhpat in the Kori Creek area, towards the Arabian Sea, where no water body seems to be present between the two areas. The Rann of Kutch divided into two unequal halves, Greater and Little Rann, is a unique piece of landmass with its mean height roughly equal to the mean sea level. The south western wind during summer pushed the water of Arabian Sea through Kori creek, submerging the Rann for few months and during monsoon, the seasonal rivers like Luni surrounding it, emptied into the Rann where the water column height varied between 3 to 6 feet over the Rann though it is a seasonal phenomenon. At the end of the monsoon, the water recedes drying up the area leaving behind flat ground impregnated with salt. Taking these situations in mind, it is clear that there no port could exist near Dholavira and if so, the graphical situation could have been different then.